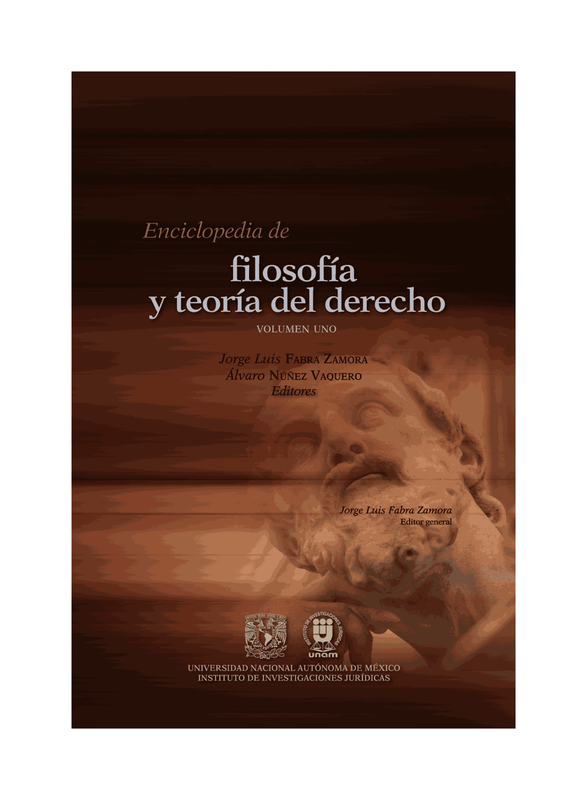 Hart publishing nos comparte la reciente publicación del primer número del volumen 5 de Jurisprudence. Contienen, entre otros, unos interesantes artículos sobre el estado del arte de la filosofía del derecho (Hutchinson, Cotterrell, review de Waluchow y Sciaraffa) y una discusión del libro de Rundle sobre Fuller. Hasta los reviews se ven interesantes! Hart Publishing is pleased to let you know that the 1st issue of the 2014 volume of Jurisprudenceis now published. Abstract: The paper examines the natural law tradition in ethics and legal theory. This tradition is shown to address two questions. The first question is to do with the nature of law, and the kind of human capacity that is subject to legal direction. Is law directive of the voluntary—of what is subject to the will, or what can be done or refrained from on the basis of a decision so to do? Or is law directive of some other kind of capacity? The second question is about the nature of ethical normativity, and the relation within normativity of its directive and appraisive aspects. Is direction primary, and appraisal to be explained in terms of a theory of direction; or must a theory of ethical direction be based on a theory of ethical appraisal? Both issues are introduced by reference to Hume’s ethical theory, which raises them in a particularly sharp form. The natural law tradition, in the form it reached by the early modern period, is shown to combine giving a primacy to the appraisive in normative theory, with, in legal theory, a detachment of law from any exclusive tie to the direction of the voluntary. At the heart of the theory of natural law is the idea of law as a distinctive form of normativity directive of a capacity not for voluntariness, but for self-determination. Combined with a view of the state not just as a coordinative authority but as a coercive teacher, this led to a distinctive and highly controversial view of the scope of positive law. The paper ends with Hobbes’s sharp opposition to this view of positive law—an opposition that focused, in particular, on the coercive legal direction of belief. Abstract: The recent publication of a lost essay by Herbert Hart is important for an historical appreciation of his work, but its likely celebration is a sad testament to the poverty and lethargy of contemporary legal thought. I use this occasion to review the state and condition of contemporary legal theorising. After positioning Hart’s essay in the prevailing jurisprudential milieu, I highlight the thrust and the failings of the three main traditional approaches to contemporary legal theorising (ie, positivism, naturalism and formalism) in regard to the nature and operation of ‘judicial discretion’. Then, I suggest an alternative approach to legal theorising that recommends a more satisfying way of proceeding. Abstract: The aim of this article is to describe and defend jurisprudence as an enterprise of theorising about law that is distinct from what is now understood as legal philosophy in the Anglophone world. Jurisprudence must draw on legal philosophy but also from many other resources. It should be an open quest for juristically (rather than philosophically) significant insights about law. Its purpose is to inform and guide the juristic task of making organised social regulation a valuable practice, rooted and effective in the specific contexts and historical conditions in which it exists but also aimed at serving demands for justice and security through regulation, as these perennial values are understood in their time and place, and as they might be further clarified and reconciled as legal ideals. Abstract: Thomas Hobbes has often been portrayed as supporting a ‘realist’ view of international relations—a view in which everything is permitted among states, in which the insecurity of the international sphere justifies states in unrestrainedly pursuing the national interest. Yet, as this paper aims to show, this interpretation is not without difficulties. It overshadows both the advantages that Hobbes believes can be gained from interstate cooperation and the fundamental role he attributes to a superior common authority in making cooperative ventures stable and lasting. More specifically, this paper brings into relief the important limitations that Hobbes’s natural law theory places on sovereigns’ freedom of action. It also argues that the most frequently advanced disanalogies between the Hobbesian interpersonal and interstate states of nature fail to explain why it would be irrational for Hobbesian sovereigns to submit to a supra-state authority; the main obstacle is instead to be found in Hobbes’s (questionable) absolutist conception of sovereignty. Please note that online access is included in all subscriptions (hosted by IngentaConnect). If you have any questions then please do not hesitate to contact me.